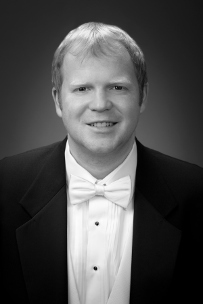 Brandon Hollihan is currently a doctoral student in choral conducting in the Sacred Music Program at the University of Notre Dame, located in South Bend, Indiana. Before this he was a high school vocal music educator and the music director for a Methodist church, living in Columbus, Ohio. Brandon has dual master’s degrees in vocal pedagogy and choral conducting from the Ohio State University and a bachelor’s in voice from Notre Dame. Major works recently conducted include Bach’s BWV 80, “Ein Feste Burg ist unser Gott” (2017), Haydn’s The Creation (2017), and Bernstein’s Chichester Psalms (2016). Brandon has also sung with Opera Columbus and is a skilled pianist and organist, giving solo recitals in regularly in Ohio and Indiana.